As I grew older I gravitated towards rap and hip hop for their black themes and race lens. Through hip hop I developed a reverence for black art, language to analyze culture, and a deeper discernment for eccentric music (thanks Mom!). I noticed Prince’s influence all throughout creative black work, which inevitably circled me back to him. Prince’s music straddled and expanded my understanding of self, place, and art within the web of race, gender and sexuality. And Prince being from Minnesota also meant he knew what it was to be black here. There’s a certain type of asphyxiation caused by interacting with white passive aggression and aloofness that exists in the North, Minnesota is quintessential. I was at a packed cafe in Uptown when I learned Prince passed and I and the other folks I was with, two women of color, were instantly and visibly affected. At first I suspected that none of the other patrons–white, connected to the WiFi, and working on their laptops–had found out yet because nobody else was flinching. When asked, the owner of the cafe admitted he’d heard the news and when pressed he reluctantly played one Prince song. Later that evening we friends reconvened at First Avenue for their all-night block party. The place and the time felt fitting to mourn but upon arrival and seeing a sea of giddy white people I, for the upteenth time that day, felt really isolated. Prince proudly represented and advocated for the black community, especially locally and still his image was posthumously whitewashed by media. 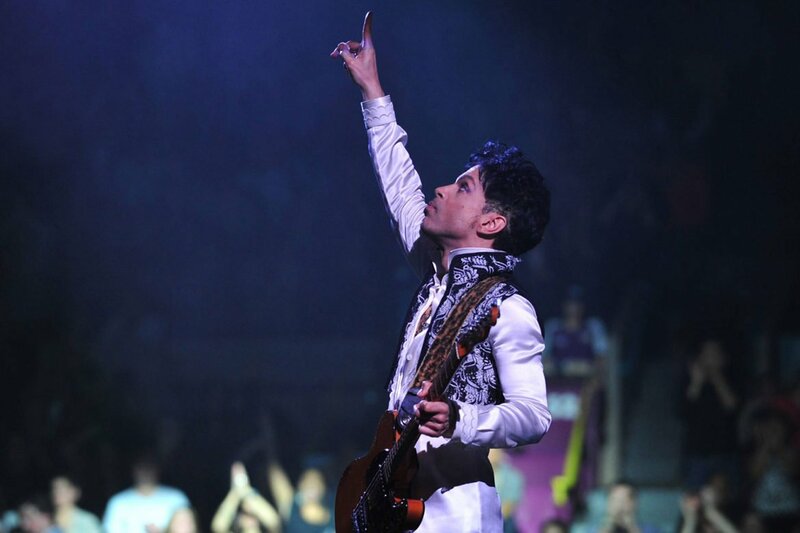 National news erroneously identified Prince as bi-racial and the Billboard Music Awards hired a blond-haired, blue-eyed Madonna to commemorate a man who used his platform to elevate women of color. Perhaps Prince is for everybody, surely he’s for communities of color, but in a necessary way he’s also just ours: local black people’s. Prince contested every single standard that whiteness, heteronormativity and patriarchy subjects people of color to. He’s a free black man whose wild seed is rooted in kindred black Minnesota-ness. Prince reminds us that black is invincible, sacred and futuristic even while we’re daily trying to fight for our lives here. One of Prince’s many tools to combat white supremacy, patriarchy and heteronormativity was music. And to mark that legacy in these trying times, we’ve invited local black activists/artists–Mike Queenz, Chaka Mkali, and Brittany Lynch–to create original work that deconstructs power, pain, and the fallacy of “Minnesota Nice.” Twin Cities Daily Planet will slow release each project in a series of videos, expertly crafted by Ryan Stopera, over the next two months. Mike Queenz draws from Prince’s ability to navigate ambiguity and says his piece will confront gender normatives, black queerness, and body positivity as radical self love. Brittany Lynch will be doing a spoken word poem on “what I’ve learned about space, time, and this thing called life while processing the death of my musical hero, Prince.” She describes Prince as, “the ultimate example of living a life with purpose.” In the spirit of collaboration, Shapeshift Creative Director, Ashley Semer, will provide a visual movement element to illuminate Lynch’s words.